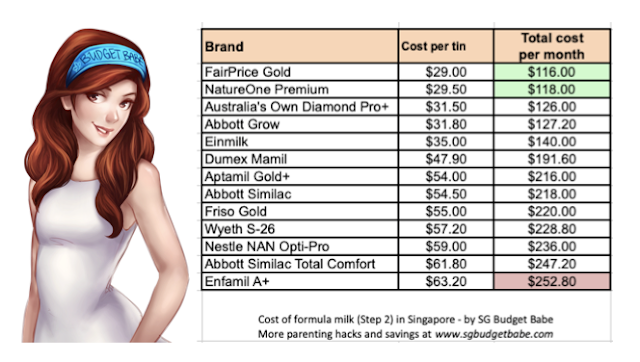 SG Budget Babe: Infant Formula Milk - Which is best? Infant Formula Milk - Which is best? 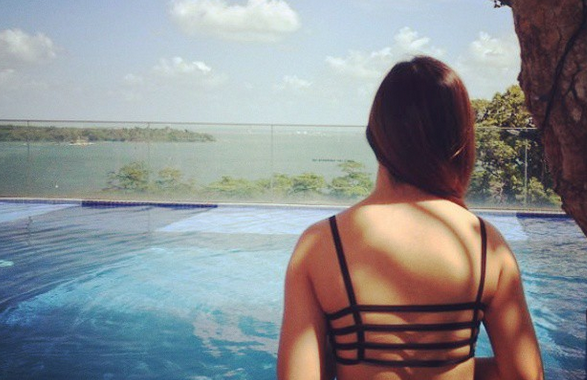 It is no secret that formula milk prices in Singapore are extremely high. 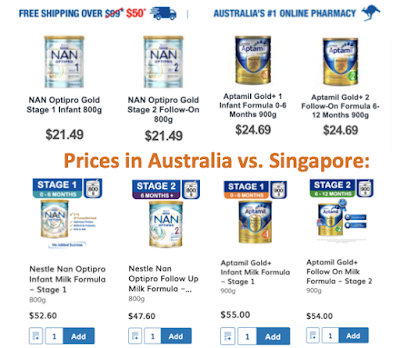 It certainly looks like prices here are overly inflated, especially when I see brands like Nestle NAN and Aptamil retail for less than half their price in Australia. The situation has gotten so dire that even the government has set up a local task force to investigate the matter, and cautioned members of the public against using price as a gauge for quality, while vowing to crack down on misleading advertising and labelling. They also brought in a few more brands to offer affordable alternatives to families who might not be able to afford paying over $50 per tin each time. Nature One Dairy and Einmilk were mentioned as one of these more affordable options instead, so I set out to find out for myself if that was true. 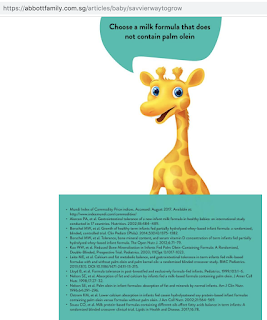 If you've ever looked at a can of infant formula milk, you would probably have seen this message as a disclaimer. Let me elaborate why. The differences between breastfed babies and those who were formula-fed has been widely documented, and breastfed babies have shown to have a stronger immunity against infections as well as a lower risk for health problems later in life including diabetes, obesity and asthma. This is largely in part to how breast milk contains leukocytes (living cells that are found only in breast milk), antibodies, enzymes and hormones that make breast milk ideal. All these cannot be added to formula. I personally could only yield 30ml every 3 hours even though I was latching and/or pumping religiously, and despite following all the rules and dietary advice that's supposed to increase your breastmilk supply. So I had no choice but to supplement with formula. If you have good breastmilk supply, congratulations! You might want to skip the rest of this article unless you're intending to switch your baby over to formula at a later stage, usually after six months or more. 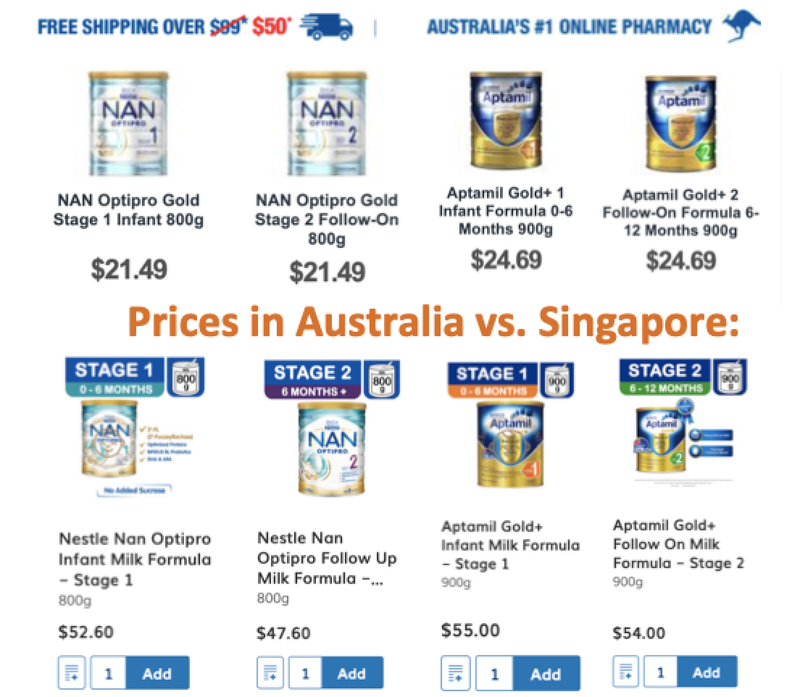 Why the heck is formula milk powder so expensive in Singapore?! With names like that, I would certainly get swayed into thinking that drinking that particular brand of formula milk will make my child smarter or healthier. But we all know that milk alone isn't the precursor of your child's intelligence, nor their success later on in life! But since all parents only want the best for our child, with names like these, surely no parent would take a gamble on their child's mental and physical development by going for an inferior formula milk. These names certainly look like misleading marketing to me, and I wonder if our government will be clamping down on this soon? But is expensive = better? No. 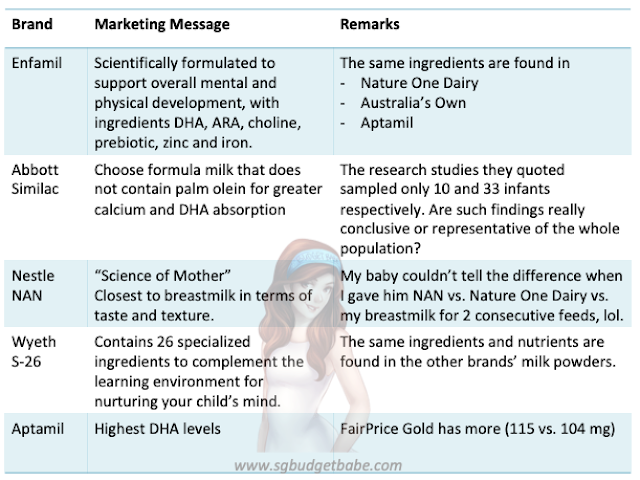 When I compared them against each other to compare the ingredients used and nutritional level, I found little difference between the formula milk brands. In case you don't have the time to do your own comparison and you're skeptical, I've consolidated all my data into an excel sheet at the end of this article so you can review and decide for yourself. I've used Stage 2 as there were requests to remove Stage 1 lest some misunderstand this article as promoting formula milk over breastmilk. Do you still think paying more means you'll be giving the best for your child? Most of the brands retail for over $50 per tin. Dumex Mamil costs slightly lesser, but after AVA recalled their infant milk formula just last year, I'm not keen on taking any chances. 2. Is more DHA / ARA / AA better for my baby? Not necessarily. For years, milk manufacturers tout the benefits of DHA, but there have been no conclusive evidence to prove that these make your baby smarter. 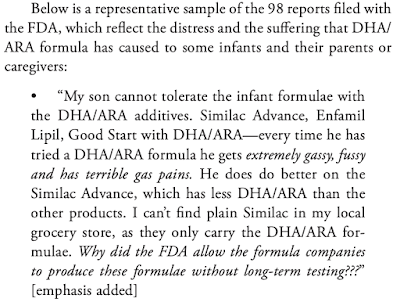 Even the FDA admits that there's mixed evidence that adding DHA and ARA to infant formulas is beneficial, and acknowledges that some studies suggest no benefit of adding these at all. 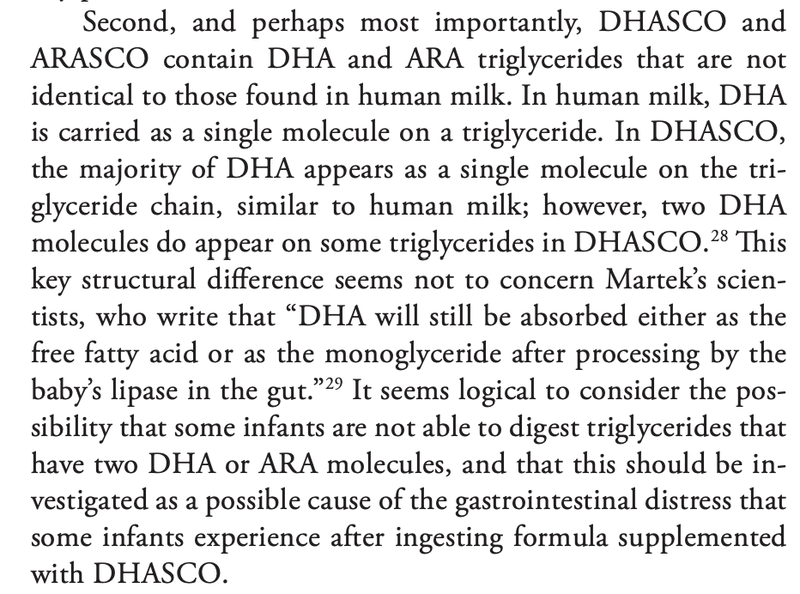 By the way, I noticed that the milk brands do not use a standard abbreviation for arachidonic acid, so if you don't find ARA in the list, look for AA instead. 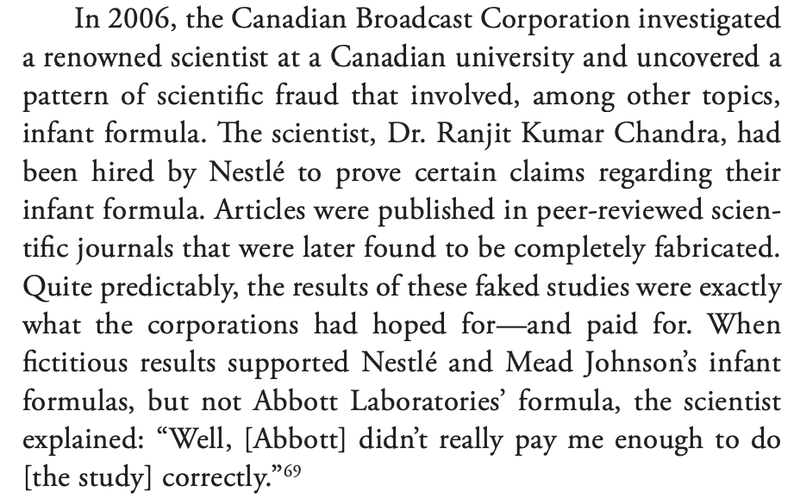 What they also fail to tell us is the controversy over the synthetic versions of these fatty acids that are manufactured for use in many infant formulas. There could be some risks to ingesting these synthetic oils as well, such as vomiting, dehydration or even seizures requiring hospitalisation. Unfortunately, I'm not able to tell which brand uses the synthetic vs. non-synthetic versions here in Singapore. I was quite surprised to see that Enfamil, Similac and S-26 in fact get their source of DHA from algae (search for crypthecodinium cohnii oil in the ingredient list), whereas most of the brands including Nature One Dairy get it from fish oil which is supposedly better. 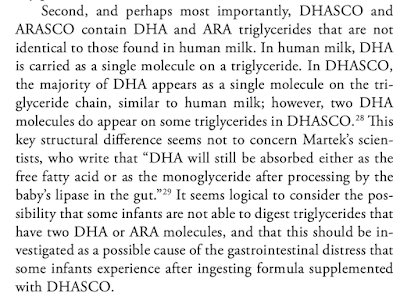 It is still unclear how safe and effective these DHA and ARA additives are, and this report also highlights the problems of industrially-produced DHA and ARA. Note that they're not illegal though. TLDR: Stop being misled into believing that more DHA = better = worth you paying a higher price for. I used to think so too, but not anymore. Fun fact: My mother didn't feed me particularly high levels of DHA during my growing-up years, but I still got straight As and a scholarship anyway. So I'm not convinced at all that paying more for more DHA / ARA content will make my son smarter. If it was that easy, then all our kids would be geniuses. 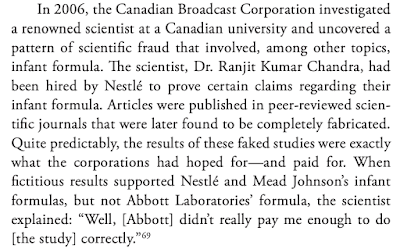 The research studies quoted by Abbott for their "no palm olein" campaign sampled only 10 and 33 infants respectively. Sidenote 1: Abbott recently engaged Instagram influencer Lian Meiting (who was previously feeding her daughter with Enfamil) to promote their "choose formulas with no palm oil" campaign, and to say that clinical tests of such formulas show more DHA is being absorbed by your little one. 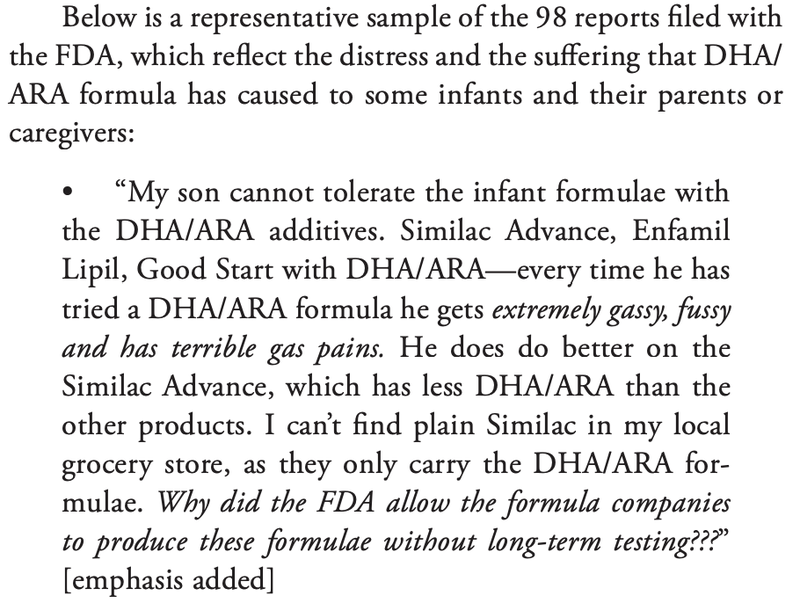 I'm not sure if she read up on these tests though, or if she knows that these "tests" were based on a very small sample size that can hardly be representative of the entire infant population, before echo-ing the statement of choosing a formula with no palm oil? Sidenote 2: Some mummies use S-26 because the nutritional content is supposedly higher. Well, my research showed that they've lower calcium, phosphorus, magnesium, folic acid, vitamin C, nucleotides, and no prebiotics. It also has among the highest fat content, second only to Similac. How to choose what's best?! While I cannot tell you what's best, and neither can any scientific study conclusively prove which brand will be best for your baby, you can always do your own comparison to decide. 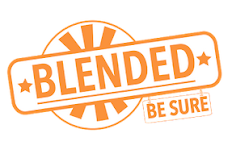 Compare the ingredients and nutritional levels on an excel spreadsheet, and you'll find that all of the milk brands here are fortified with the same essential nutrients required for your baby's growth and development, and the nutritional levels are pretty much on par. If you believe in DHA and ARA (despite all the scientific studies disputing it), you'll see that FairPrice Gold has the highest levels while at a much lower price tag than many of the more expensive brands. 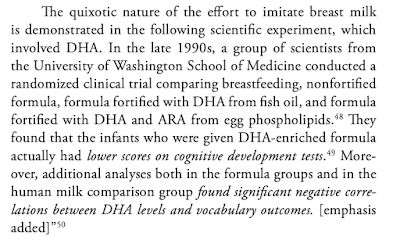 But hey, fortified DHA has not been proven to do much for your child's development. You'll be better off breastfeeding, or getting donor milk. Next, look at country of origin. Milk from Australia and New Zealand generally tastes better (try it for yourself! ), and even European countries procure milk from these two countries when their own local produce falls short. 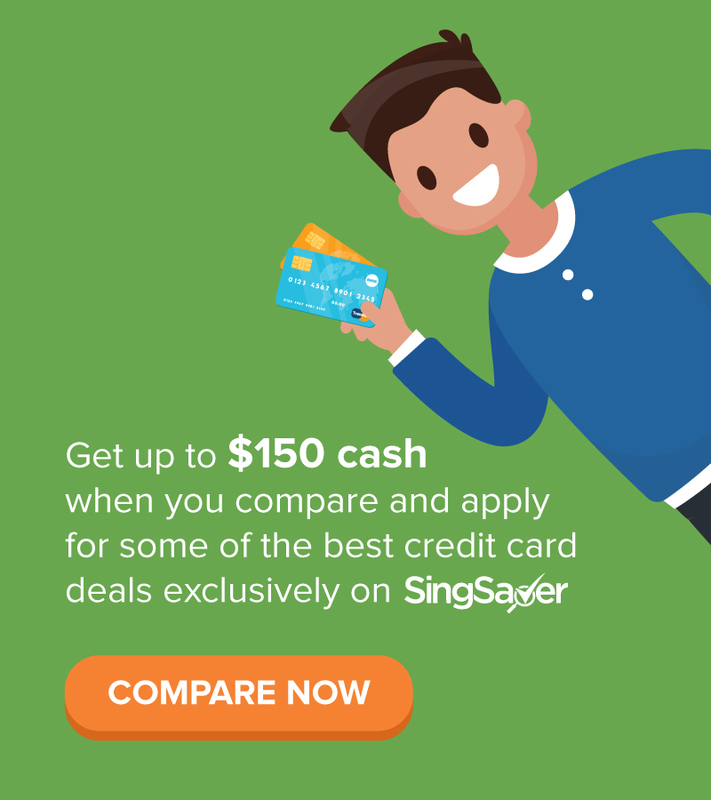 Finally, look at price and decide which one gives you the best value for money. After weeks of research only to realise that there was pretty much no difference between the different milk brands, I narrowed my choices down to the two most affordable options - Nature One Dairy and FairPrice Gold. 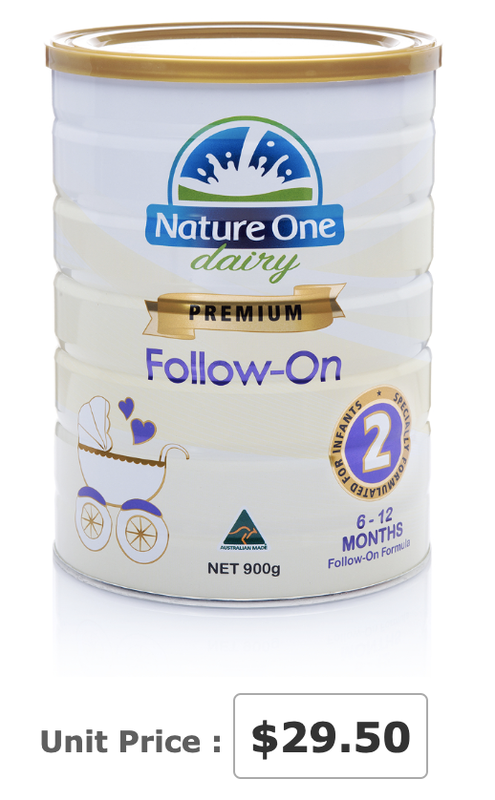 I later found out that Nature One Dairy manufactures FairPrice Gold's infant milk formula, so that cemented my decision to go for theirs. 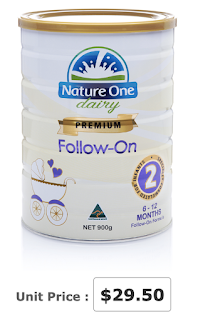 We decided on Nature One Dairy (Premium) as it contains prebiotics, especially given baby Nate's constipation issues. 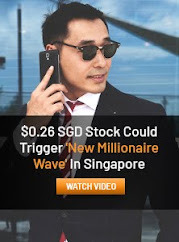 I usually buy from Sheng Siong, Redmart Lazada or Shopee. Switching over from NAN to Nature One Dairy was the best decision we made and it has helped us to save a lot more money. If you're like us (looking for a more affordable option without compromising on the essential ingredients needed for your child's development), I would highly recommend that you review your choice of formula milk again. Disclaimer: This is not a recommendation nor medical advice. You should review the differences between the respective formula milk brands and make your own decision as to which will be the best for you, your baby and your wallet. No company sponsored this review (although I certainly wish one did, given the amount of research I undertook! Haha) and I compiled the above information by myself while comparing price and quality to decide which brand to switch my baby over to. You should make your own informed decision in providing for your child as to what's best. Good research! We are using aptamil as there's constantly a 20percent discount if sign up for the free membership. 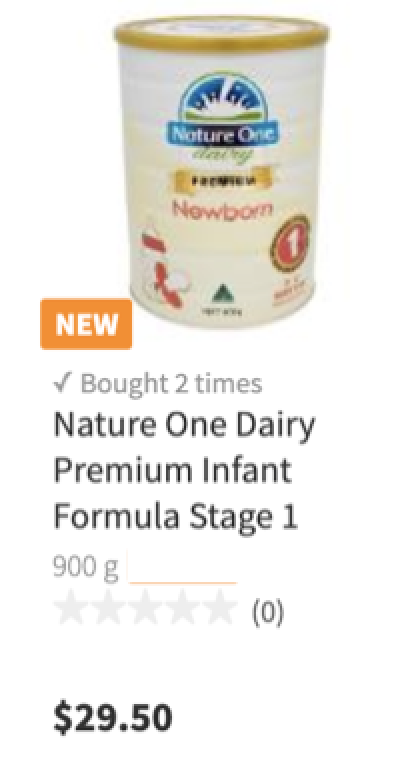 Brings down the price to similar to einmilk And the baby likes the taste the best! We were using similac total comfort as our baby had reflux and that was a killer. A tin cost more than 6o bucks. A 20% discount on all Aptamil tins?! That's a pretty awesome deal!!!!! Thanks for sharing! yes, we actually bought einmilk as well as we believe all formulas are nutritious enough for the kids, but i dont like the smell of einmilk even as an adult! So we decided not to let the baby drink it. Haha. Aptamil has highest DHA on their follow on milk so their claim is not completely wrong. Except that they're not...Aptamil has 13.8mg of DHA for every 100ml whereas Fairprice Gold has 15mg for the same. So that title of having the highest DHA ought to be Fairprice Gold's instead. 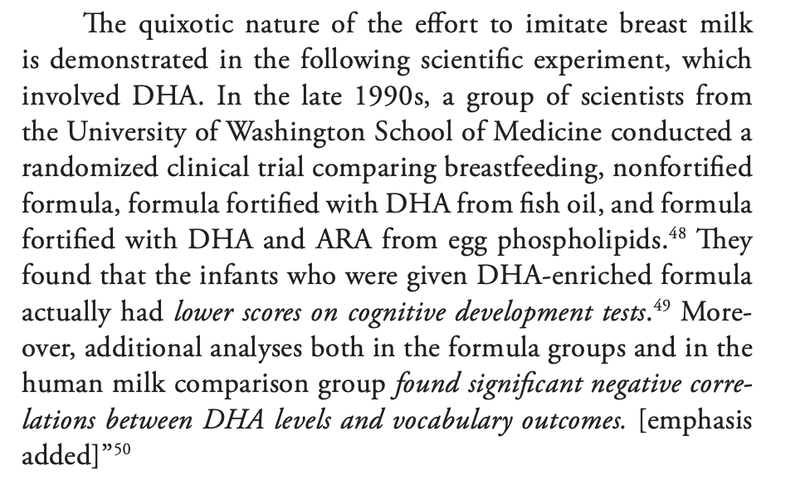 Although I'm still not convinced more synthetic DHA = better, still. If your baby is not fussy you can just request for samples from all the milk brands and cycle through them. I had low milk supply too, but other than the first 6 months where no milk company give milk samples, I managed to only have to buy a few more tins to supplement my baby's milk intake. If you request stage 2 milk, most companies will continue to send you samples for stage 3 and stage 4 automatically. Also, I was quite careful with the amount of milk I made each time because I realise a lot of people just made extra milk and throw away what baby couldn't finish. If my baby was still hungry after the first bottle, I would just make a smaller amount for the second bottle. It's a bit more effort but saved a lot of milk in the long run. Oh that's a great idea, I've not thought about that! Guess I'm gonna be signing up for the different brands to try out their milk then - maybe I can write a follow-up part II to this review next time heh. Thanks for the budget tip, really helps! ya fussy babies a bit hard haha gotta go with what they want!